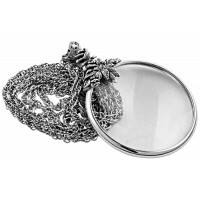 Inspired by the Celtic knot design, our sterling silver folding magnifying glass with a blue tassel, has been skillfully crafted by expert British Silversmiths. 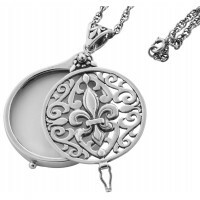 The hinged magnifying glass is housed in an intricate Celtic filigree sterling silver cover. 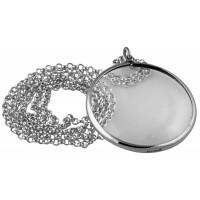 Featuring a magnification power of x 6 set in a dark blue plastic mount, this magnifying glass with tassel can also be worn on a chain as a pendant.